1. Add 'ip-approval' folder, ip-checker.php, ip-checker-js.php, access-denied.html and banned.html files to your root folder. 2. Log into your IP Approval Account, and visit the Account page. Locate the API Credentials section, and click the 'Create API Key and Secret' button. 3. In the ip-approval > files > zline folder, edit the connect file. a. Replace <YOUR USER ID> with your User ID. b. Replace <YOUR API KEY> with your API Key. c. Replace <YOUR API SECRET> with your API Secret. Save your changes, then visit your-website.com/ip-approval/ and login using your IP Address Approval username and password. Requires sendmail ~Included in zip. 2. 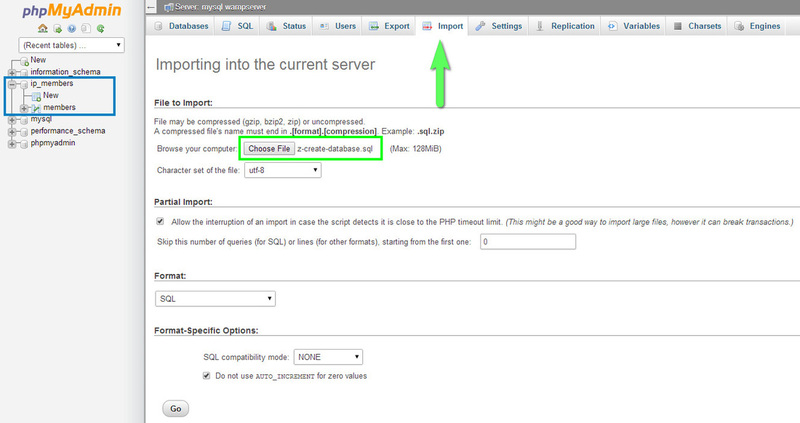 IMPORT the z-create-database.sql file into your Database. 3. Add 'ip-approval' folder, ip-checker.php, ip-checker-js.php, access-denied.html and banned.html files to your root folder. 5. Edit the 'functions.php' file found in the files > zline folder. 7. Visit your email inbox to retrieve the temporary password.